Last week, the master French filmmaker Agnès Varda died at the age of 90 from cancer. Creatively prolific, her career spanned more than 50 years and included everything from feature-length fiction films to documentaries to shorts. After arguably launching the French New Wave movement in 1955 with her directorial debut “La Pointe Courte,” commentators and historians would largely neglect her contributions and instead favor the boy’s club for decades afterward. While sexism’s role in this glaring oversight is undeniable, there is another facet to consider, which is simply the fact that Varda was not the sort of person to concern herself with this label or that, switching from features to documentaries, filmmaking to art installations. Here in the United States, she was a largely unknown figure for many decades in spite of serving as an inspiration to household names such as Martin Scorsese. Only in the last few years of her life did she really start to shift more into mainstream visibility, a development which can be simultaneously traced to the increased focus on the underappreciation and underrepresentation of women in the film industry and her presence in the 2017 awards season campaign with the acclaimed documentary “Faces Places” which she co-directed with the mysterious artist-photographer JR, sometimes called the “French Banksy.” With her sparkling personality, sharp wit and distinctive white-topped magenta-tipped hair, Varda’s appeal was not lost on social media. Several anecdotes about the filmmaker quickly went viral, such as when, unable to attend the annual Oscars nominee lunch, she sent several life-size cardboard cutouts in her stead. I myself first encountered Varda’s films at Wellesley in the second semester of my freshman year. My introduction was the 1962 “Cléo from 5 to 7,” her sophomore feature film, screened in Maurizio Viano’s CAMS 201 class. While most film historians would make the distinction that it belongs to the Left Bank movement, it’s generally regarded as a New Wave-adjacent title, and as such was shown as part of the class’s New Wave unit. I entered Collins Cinema with trepidation; my thoughts towards the New Wave movement at that point were not generally of the warm and fuzzy variety. While understanding the significance of their iconoclastic approach, I feel like the movement was the replacement of one dogmatic extreme with another populated by navel-gazing academes who thought that making films that were obscure for obscurity’s sake made them the cleverest men who ever lived, but I digress. Anyway, I went into “Cléo from 5 to 7” skeptical and came out an hour and a half later deeply moved. The almost-but-not-quite-real-time film follows a young singer named Cléo as she waits for the results of a diagnostic cancer test that she fears will be positive. It sounds all doom and gloom, but Varda has a way of injecting a certain vivacity and joie de vivre into her work. Long story short, I entered the film a skeptic and came out a fan. Agnès Varda was a pioneer and an icon whose films were as daring in her 80s as they were in her 20s. 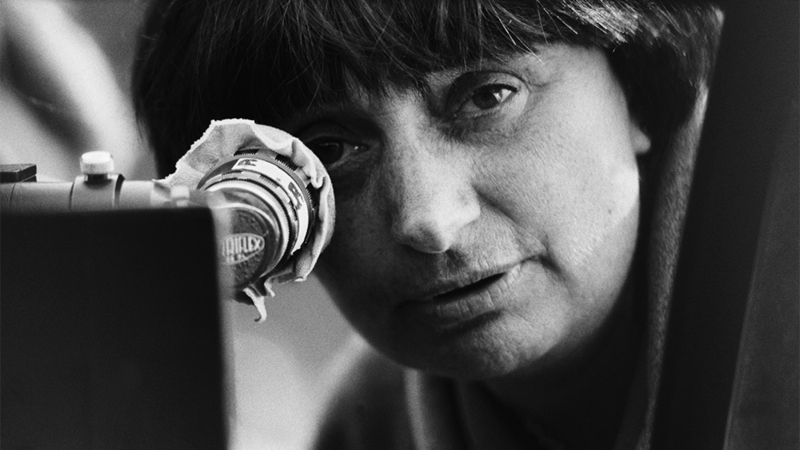 A prolific creator who managed to establish and maintain a career when the statistics regarding women behind the camera were even more dismal than they are now, Varda’s films and legacy deserve every celebration. The world of film is right to mourn the loss of such a vibrant star, but at least we can enjoy her creations forever. The independent student newspaper of Wellesley College since 1901.